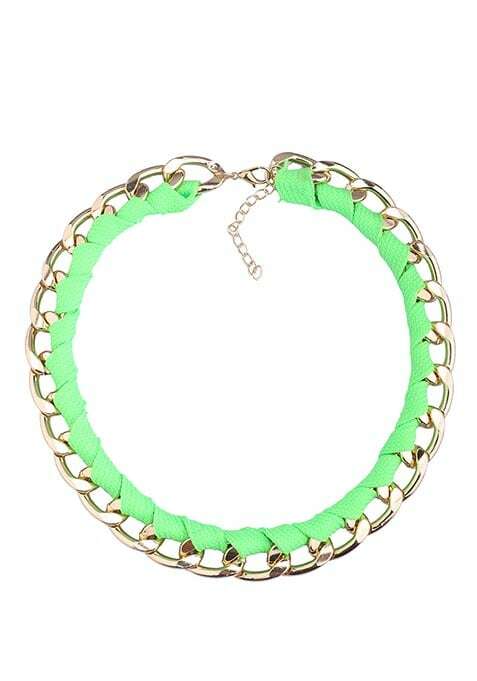 Quirk up your day outfits with this funky gold curb chain necklace featuring neon green ribbon tied to one half. Lobster clasp fastening. Work It - Looks the cutest with a slouchy tee and leather shorts.